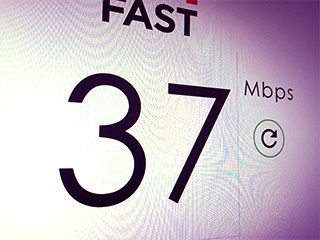 We are lucky in Macclesfield that we have excellent broadband options, both on the BT / Openreach network, including Fibre and ADSL connections, and on the Virgin Media Fibre-Optic network. I have a vast experience in all of the above offerings, both residential and commercial / business, to suit varying needs. Personally, I currently use Plusnet, who offer excellent Fibre Packages, at a good price, with excellent customer service. If you need to regularly access a remote server for work purposed, perhaps via Remote Desktop, restricting your access to a known IP Address is an excellent way of improving security. One reason I chose Plusnet is that they offer fantastic extras such as Static-IP, even on residential setups. I also have some knowledge of business telephone systems, and of course smartphones and mobile tariffs.